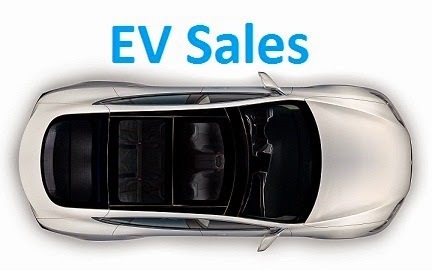 The global EV market had a sales slump last month, with the 39.000 units delivered in January representing a meager 2% growth YoY, this sudden growth drop cannot be attributed to the US market or Europe, but to the dismal performance of the Chinese market. In the meantime, the Nissan Leaf started the year in the leadership, something that wouldn't be much of a surprise, if it wasn't the oldest model in this Top 10 and the lowest range all-electric car here. Still, it has two important aces: First, it is sold worldwide, second, and most importantly, at this point Nissan has enough margin to make some deep discounts, winning customers by price. Below these two, we have a couple more surprises, with the BMW i3 reaching Third Place and the Tesla Model X narrowly surpassing its older brother Model S, while in the second half of the Top 10, there are three new models to the ranking, with the Toyota Prius Prime already appearing in #7, the VW Passat GTE showing up in #8, confirming the importance of the European ranking this month, while the Volvo XC90 PHEV(!) shows up in #10, the first time in a long time (Since 2014) that a Volvo sits this high in the ranking. BMW started the year on a high note, leading the EV charge with 5.232 units, or 3.6% of all the brand sales last month, followed by a strong Nissan and a close Tesla. Chevrolet and Renault benefited from fresh product to climb in the ranking, but the most surprising results show up below them, with Mercedes hitting #7, its highest position ever, mostly thanks to their GLC350e SUV sales climb, while Volvo was #9, with 4% of all sales coming from the Swedish maker wearing a plug, and SAIC Roewe was #10, with over a thousand PHEV's registered, or some 5% of all sales coming from the automaker in January. The Japanese EV was down 48% YoY in January, with some 1.800 units, placing the EV Share at 0,46%. With numbers below last year volumes, one has to go back five years to see such low numbers, which doesn't come as a surprise, considering how the two local heavy-weights are behaving. 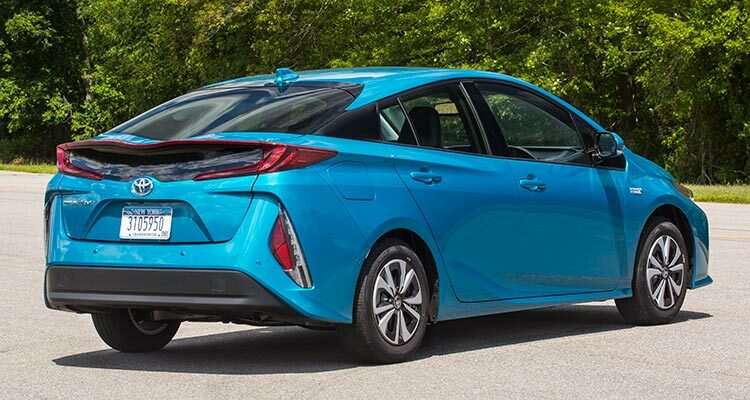 The 30kWh-kick effect has waned and the Nissan Leaf, the main driving force of the market, responsible for 78% of the market, has seen its sales slow down, so unless Nissan throws something new to the table (40kWh version, Gen 2 Leaf...), sales will continue to drop and the upcoming Second Generation Toyota Prius PHEV will have the 2017 Best Seller trophy served on a silver platter. To worsen things, the emissions scandal is continuing to hurt Mitsubishi and its Outlander PHEV, with registrations down 76%(!) to 190 units last month. The remaining models in the ranking have comparatively small numbers, with the front two models gobbling 88% of the market, but not all is lost, the Second Generation Prius PHEV is expected to arrive soon and if Toyota managed to win the 2012 Best Seller title with a "light range" (Putting it in mild terms) Prius PHEV, then this decent-range, competitively priced second generation should improve significantly on the result achieved that year (12.300 units), which given the current state of affairs, should be more than enough to beat the current front runners and spike sales of this dormant market. #1 Renault Zoe – With the ZE40 version finally arriving to selected markets, registrations were up 80% YoY to 2.602 units, jumping to the leadership in January, winning already some 800 units over the second placed BMW i3. Besides the expected good performance at home (1.646 units), the French hatchback had also good results in Norway (240 units), Germany (180) and Austria (104 units). #2 BMW i3 – The German Stormtrooper model continues to profit from the 33 kWh sales boost, this time with 1.818 units being delivered. Besides the usual Norway, with 622 units, other markets where the Bimmer performed well were Germany (388 deliveries, up 160%! ), the United Kingdom (210 units) and Austria (94). Interestingly, the fully electric version is outselling the range extended version on a 3 to 1 ratio, when twelve months ago, most sales belonged to the Rex version. #3 Nissan Leaf – “Hey, remember me?” – The old warrior still has an ace up its sleeve, called “Discounts”. While it may be getting long in the tooth, currently it is the only model offering generous discounts, wooing bargain-seeking buyers, in January it delivered 1.386 units, seeing its sales increase 29% regarding the same month last year. This proves that besides range, price is also a decisive trump card to win buyers. #4 VW Passat GTE – The Volkswagen midsize offering had a better than expected result, with 1.340 units, record results in Sweden (549 units) and Norway (411) absorbed most of registrations, but Germany (157 sales) also saw a positive month. With the right mix of electric range, space, power and price, the Passat GTE is a continuing success among company fleets across Europe. #5 Mitsubishi Outlander PHEV – The Japanese SUV started the year on the wrong foot, registering only 1.114 units, down 14% YoY, as it failed to deliver in Norway (144 units, worst result in a year) and the United Kingdom (Down a harsh 75%), with the bright spot in Germany (282 units, best performance in 19 months), being unable to balance things. Below the top five places, the Volvo XC90 PHEV had a surprising 52% jump on sales, to 1.035 units, surging to Sixth Place, while the #8 BMW 225xe Active Tourer (687 units) continued its positive sales trend and two rising SUV’s, the #10 Mercedes GLC350e (629 units, new personal best) and #11 Tesla Model X (586 units, new off-peak record), confirmed once again what we all have been suspecting plug-in SUV’s are a Thing now. A (relative) hot item is the Hyundai Ioniq Electric, if it weren’t for availabilty constraints, the Korean would probably already be in the Top 10. In the manufacturers ranking, BMW started where it left off last year, in the leadership, with 21% share, followed by Renault (15%) in Second Place and Volkswagen (12%) in Third. A surprise follows in Fourth Place, with Mercedes showing up just below the podium, with 10% share.